While California is a vast state with many desirable destinations, for senior class trips Los Angeles is an overwhelming favorite. 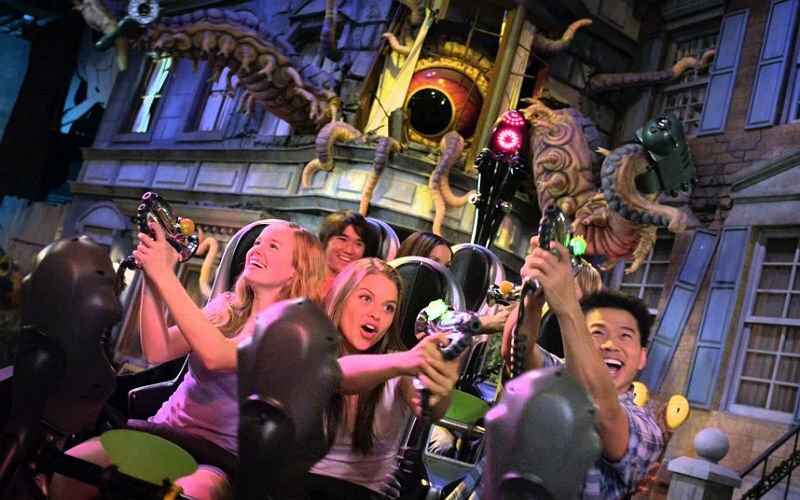 In addition to its many attractions, LA has special grad nights at multiple theme parks. These may even be combined into one senior trip. There’s a reason it’s called “The Happiest Place on Earth.” Disneyland is for more than just kids. The theme park organizes special events for high school seniors looking for a fun and safe place to celebrate graduation. The theme park often stays open later for graduation celebrations and can limit entrance to high school students only. This event is billed as the “Most Extreme Grad Nite Party on the Planet!” The celebration takes place at Magic Mountain, a theme park on the outskirts of Los Angeles, CA. Senior high graduates get exclusive access to the property, which is highlighted by thrilling roller coasters, multiple dancing zones and interactive entertainment. Safeguards in place to limit access to alcohol and prevent students from leaving the park and reentering. Six Flags Magic Mountain will stay open extended hours for graduation celebrations and LA County sheriffs are present, which increases safety for graduating seniors. Another amusement park with a fantastic grad night event is Universal Studios Hollywood. A senior trip to California would not be complete without participating in this all-out celebration. AMC's The Walking Dead Attraction. The Grad Bash at Universal Studios Hollywood is a once-in-a-lifetime opportunity the graduates will never forget. The theme park is only open to graduating seniors and chaperones, and great care is taken to ensure the safest and most fun event possible. Get a free quote for your senior trip to California!